Designed in Germany to Blanco's exacting standards of performance and quality. The BLANCO QUATRUS family offers traditional quality as well as many signature BLANCO features at an exceptional price. This sink represents the pinnacle of Blanco quality design and engineering. Superbly handcrafted in Germany from a single panel of premium quality 18 gauge 304 series stainless steel, this farmhouse model features a reinforced apron front and extra-large single bowl. Tight zero-degree radius corners maximize bowl space and presents a striking look that fits both contemporary and casual decor. Consult your fabricator for options available for the reveal around the rim when installing. The popular BLANCO QUATRUS line of sinks now has an exciting new laundry room addition. This modern, dual mount sink has a generous bowl depth of 12 inch, and features 15 mm radius corners, making laundry cleanup easy and efficient. With over 90 years experience in kitchen technology, design and manufacturing, BLANCO offers the ultimate in stainless steel quality and craftsmanship. Made from premium quality 304 series, 18/10 chrome-nickel Stainless Steel and precision-engineered in Germany to exacting standards of quality and design, BLANCO Stainless Steel sinks are made to last a lifetime. This small single bowl undermount sink is made of 80% natural granite. Its square design maximizes bowl capacity and a virtually flat sink bottom prevents glassware from tipping over. 3-1/2" stainless steel strainer is included. Available in store by Special Order Only. See associate for details. This single bowl undermount sink is made of 80% natural granite. Rear positioned drain hole maximizes usable bowl and cabinet storage space. 3-1/2" stainless steel strainer is included. Available in store by Special Order Only. See associate for details. 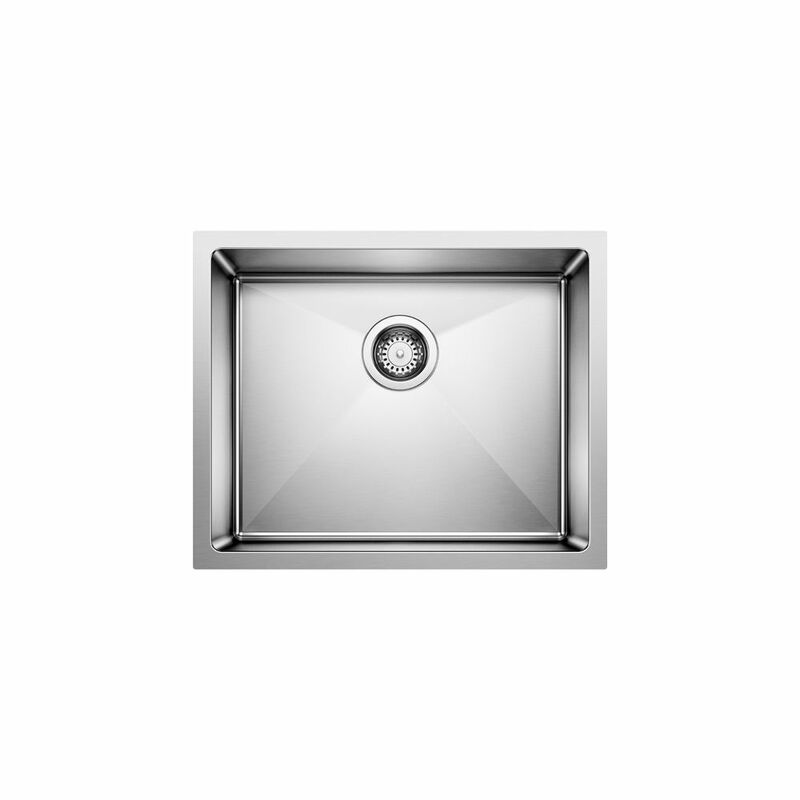 Quatrus R15 U1, Stainless Steel Sink, Single Bowl 9 In., Undermount Designed in Germany to Blanco's exacting standards of performance and quality. The BLANCO QUATRUS family offers traditional quality as well as many signature BLANCO features at an exceptional price.